Artist’s impression of the restaurant area. 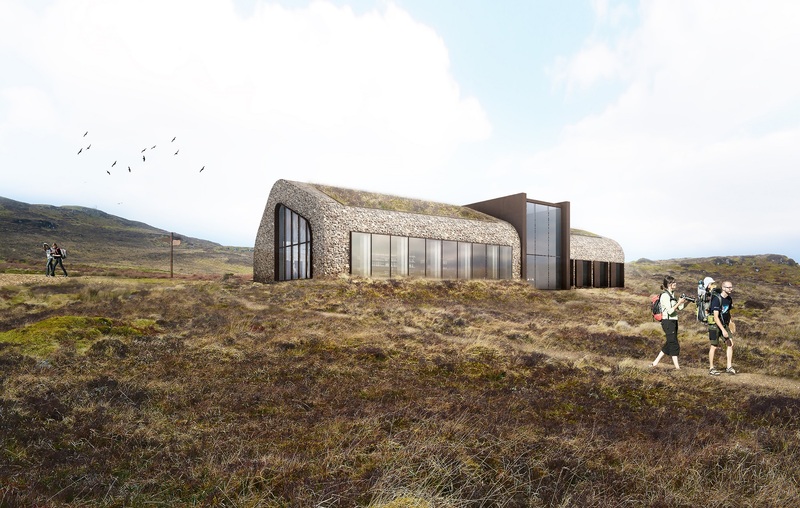 Plans for a new development which would include accommodation pods, a bar, a restaurant, and a plunge pool on the site of the former golf course in Portree have been put forward to the Highland Council. 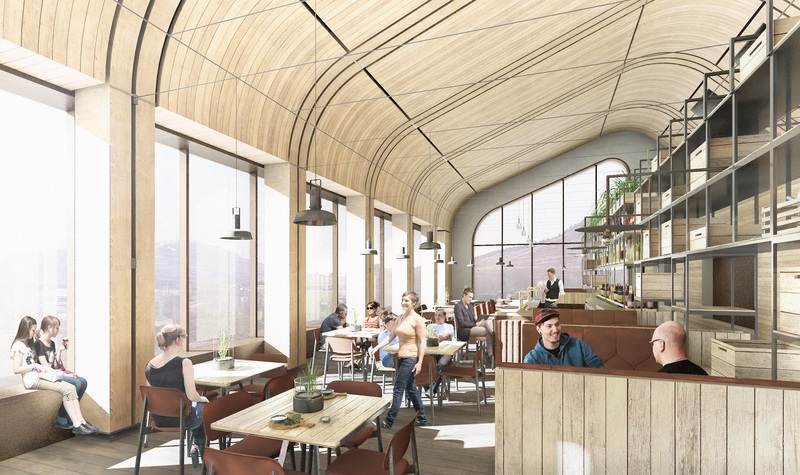 The planning application for the Struan Road site, which was submitted on March 1st, comprises 27 single room pods, a hub – including a bar and restaurant, a sauna and plunge pool, a caravan site, and a car park accommodating up to 50 cars. 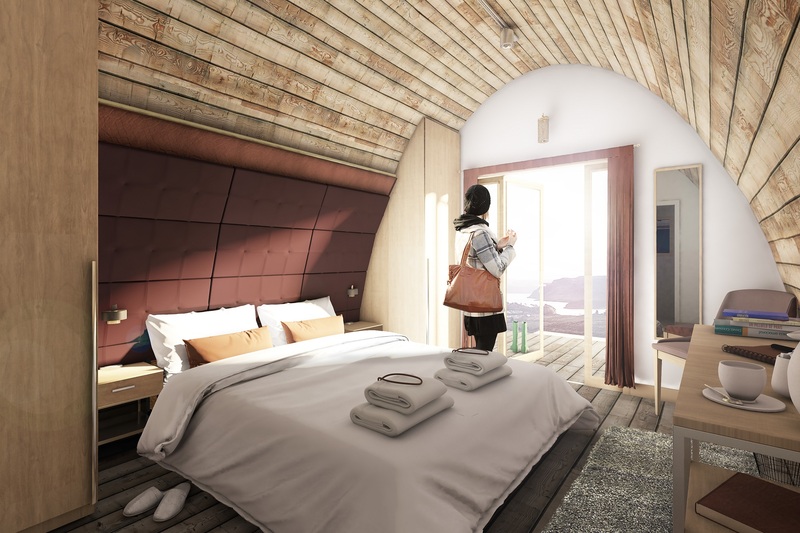 An impression of the pod interior. The application was submitted by Mr. Charles Garton Jones and his wife. Mr. Garton Jones is the owner of the Cow Shed, a boutique bunkhouse in Uig which was established on the site of the former maternity hospital. Mr. Garton Jones studied politics at Edinburgh University before going on to co-found Garton Jones Real Estate with his wife in 2003. Garton Jones Real Estate has offices in Chelsea Bridge Wharf, Westminster, and Nine Elms. A view of the entrance hall. The external frontage of the hub. The plan below shows 27 guest pods in three clusters, while there are also five separate pods for staff members. 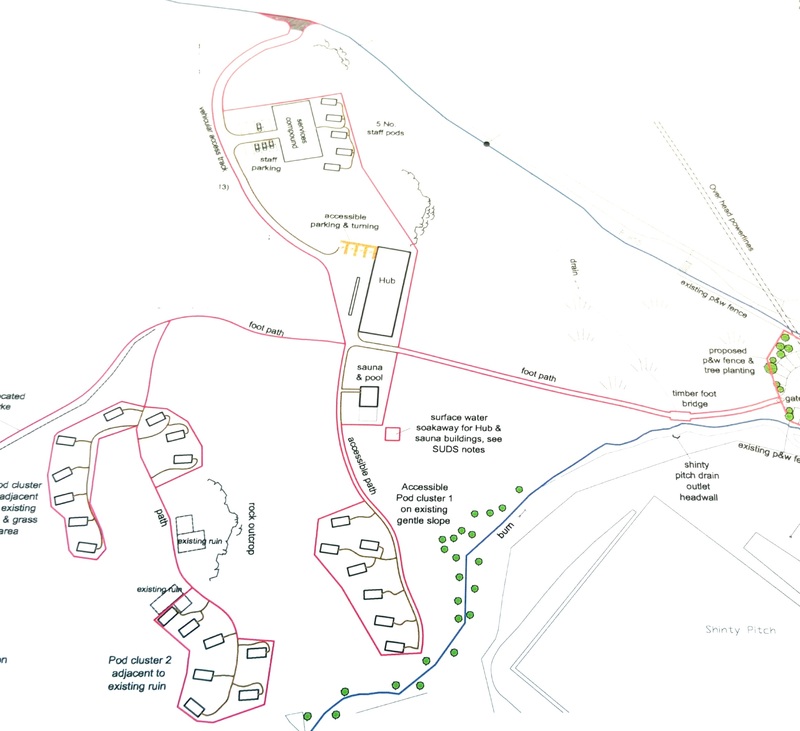 Plans for the main car park, which would be situated opposite the West Highland College, would accommodate up to 50 cars.